When Josie Jensen, an awkward 13-year-old musical prodigy, crashes headlong into new kid Samuel Yazzie, an 18-year-old Navajo boy full of anger and confusion, an unlikely friendship blooms. Josie teaches Samuel about words, music, and friendship, and along the way finds a kindred spirit. Upon graduation, Samuel abandons the sleepy, small town in search of a future and a life, leaving his young mentor behind. Many years go by, and Samuel returns to find his old friend in need of the very things she offered him years before. 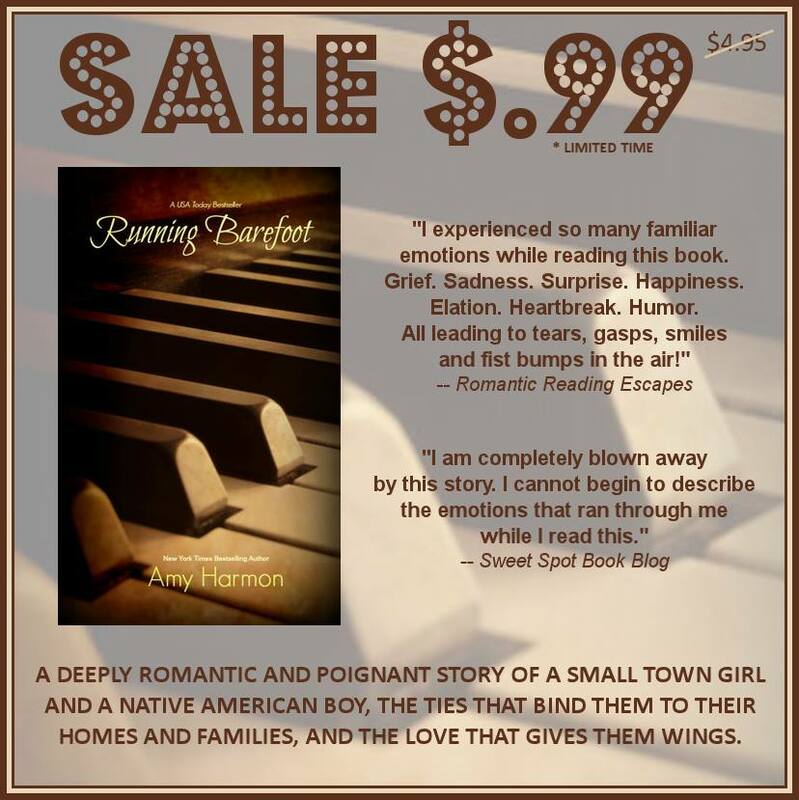 Their roles reversed, Samuel teaches Josie about life, love, and letting go.Deeply romantic and poignant, ‘Running Barefoot’ is the story of a small town girl and a Native American boy, the ties that bind us to our homes and families, and the love that gives us wings. Previous PostThe Law of Moses – Amy Harmon PRE-ORDER NOW!Next PostSessions – Kailin Gow NOW AVAILABLE!